We see pictures of intensely lined eyes of celebrities with lots of kajal but when we try to replicate the same, we find that the kajal feathers and smudges. Apply less and it vanishes in a couple of hours and needs reapplication. Would it not be wonderful if you are able to line your eyes heavily without it smudging and you are able to carry the look through the day? 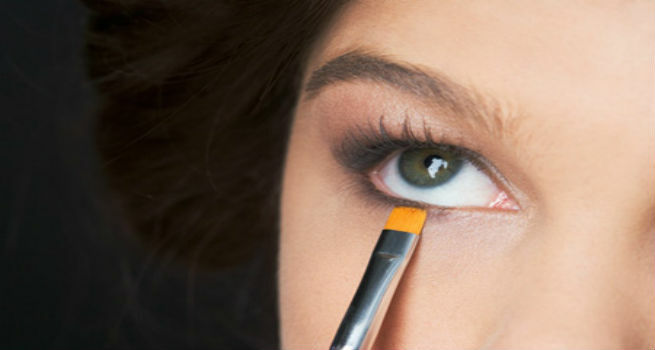 We show you small tips and tricks to prevent kajal from smudging so that you can have well defined eyes through the day. That way, you won’t end up with raccoon like eyes at the end of the day. Dust some loose powder in your under eye region which can be brushed off later. This will help absorb any excess oil in your skin. Apply the kajal from the outer corner of the waterline towards the inner corner. Apply it in short and repetitive strokes. You can apply more than 2 coats if you want a smoky look to your eyes. 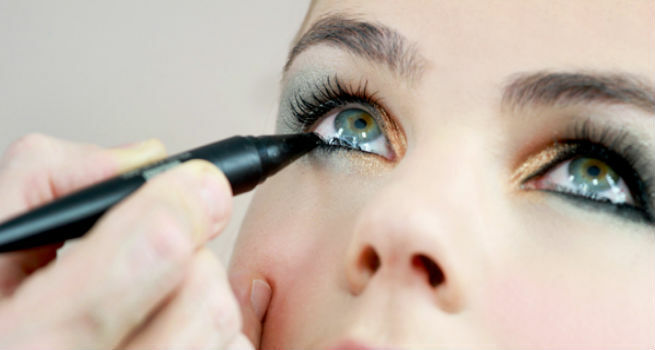 Avoid applying kajal on the inner corner of your lower lid since this is where the smudging occurs the most. After applying kajal, dust off the excess loose powder and set the foundation under the eye with a compact. This will absorb excess moisture in the under-eye region. It also helps if you set your kajal with black eyeshadow. After applying kajal, dab on some black powder eyeshadow below the waterline in short strokes. The powder helps in absorbing the excess moisture and also creates a naturally smudged soft matte look around the kajal you have applied. Now that you are set, remember that you have eye makeup on. So DO NOT TOUCH your eyes or meddle with them. You will yourself smudge it by doing so. Sometimes, due to excessive oiliness in your skin, the kajal does tend to smudge despite all the care taken. So always keep a few Q tips handy with you so that you can easily swipe away the excess kajal and restore the clean look. If all else fails and you still want nicely defined eyes, then the way to go about it is to apply a thick layer of kajal when you go to bed. You will wake up with messy eyes, that’s another thing. But all you have to do is to use a makeup remover and remove the excess kajal from your under eye area. The kajal on the waterline will still remain and highlight your eyes.